my little red suitcase: self-expression and a give-away winner! self-expression and a give-away winner! I realize on my last post that I may have sounded as though I was fiercely protecting my blog and that I didn't want anybody here! and really I do want people to feel comfortable here and welcome. and I do want to protect my blog and what happens here, but I was talking about my physic space and what fills it or threatens to over-whelm it on a daily basis. I don't always go into detail, but I do find it helpful to be able to express how something feels, to be able to take out an emotion and fling it into the mix, it's wonderful. Self-expression feels good and maybe sometimes a little edgy, and for me this is a platform to be able to do that and to feel heard, so thank you. I find if I can find a way to express what is true and alive in me at that moment, it really frees me up, and helps me to find a way through. It takes me to the core of who I am. I can hear myself through all the daily noise and strong impressions. This kind of post, does something great for me deep down in my bones! I reach a moment of inspiration and know completely where I'm going with it, I get carried along by it .... and I need to do it! Then I can go happily back to creativity or whatever else is happening. I am very visual and I love all the pretty pictures and creative happenings here. I'm also inspired by people and their lives, the seekers and searchers, the crafters and artists, the heart and soul blogs. The movers and the great leap takers, the stand up and say it how it is blogs, and the quest for simplicity. It's very inspiring out there. And lastly Ada Bee. 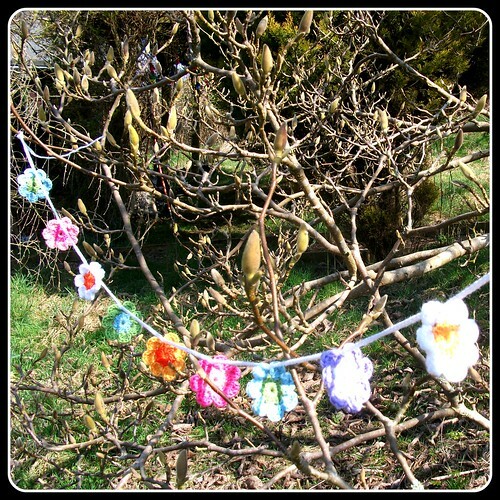 This spring garland is for you! Your lucky number today is the number 4. I am happy to be able to send this to you, so please could you email me your address? Ada from Vintage sheet addict has been one of several faithful readers and commentors on this blog and it would be nice to send out more to others. I will just have to do more give-aways! Congrats to the lovely Ada bea! I have been scrolling through your lovely crocheted flowers - how pretty they are and just what is needed to cheer these miserably wet gloomy days up. I'm happy because of your positive feelings and attitude!!!! Hi There, Lucky Ada, Congrats!!! I know exactly what you mean by "feeling free"! I usually go for a walk in the bush and rant & rave out loudly(This way I don't say hurtful things I can't take back)and then by the time I get back home I feel better, have put it all into perspective and then I can argue without the anger!!! Otherwise I get so upset that I can't think straight and then I can't say my say!!! It's the saying what you feel that makes your blog so inspiring!!! It's because of your self expression and the variety in your blog that it is one of my favourites. Keep blogging and hang onto your space! And I'd love to crochet flowers. Have you got a link that would give me a pattern? 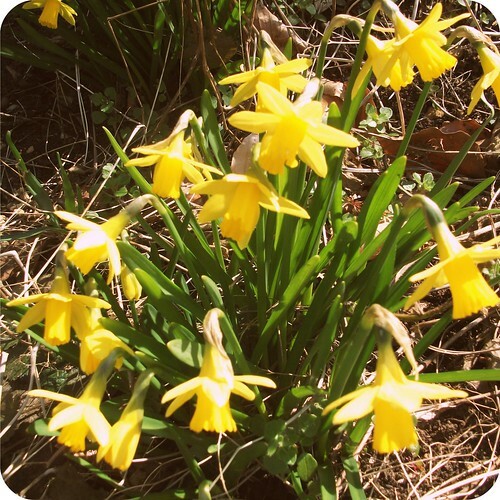 I love your blog - it is your space to express yourself and you do it so beautifully! 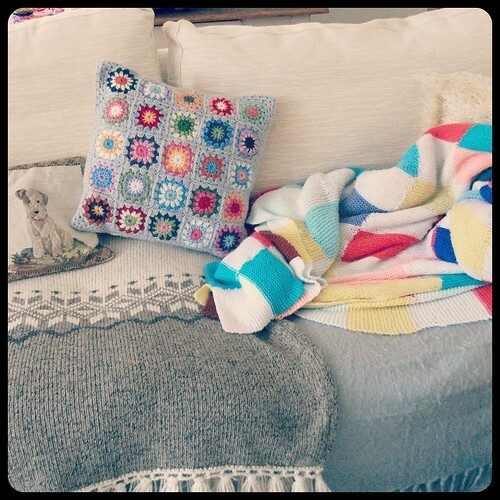 And what a gorgeous picture with all the crochet goodness! Well done to Ada, she is lovely and a deserved winner.